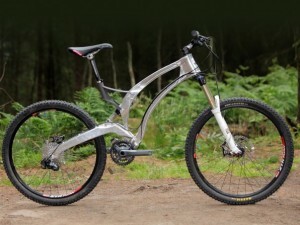 The World’s First 3D-Printed Titanium Alloy Bicycle Is Here! Empire Cycles teamed up with 3D printing gurus, Renishaw, in order to produce the world’s first 3D-printed titanium alloy bicycle frame. The MX-6 bike is very strong and approximately a third lighter than traditional metal bike frames.